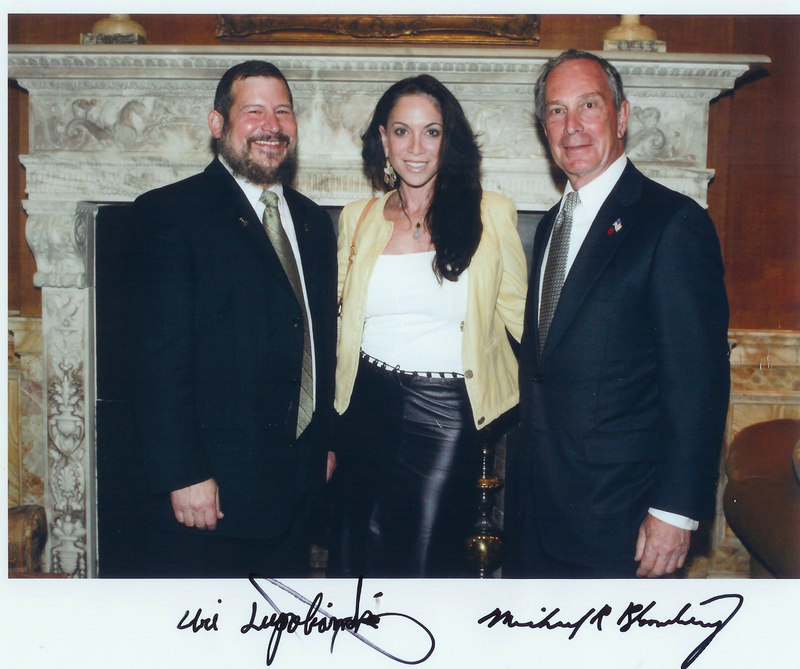 Jerusalem Mayor Uri Lupolianski, Pamela, and New York Mayor Bloomberg. Pamela “Atlas” Geller is the founder, editor, and publisher of AtlasShrugs.com, bringing you the news you will not hear from the mainstream media, covering little-reported events of great import, and providing an unblinkingly honest examination of global affairs. She is also the executive director of Stop Islamization of America (SIOA) and of the Freedom Defense Initiative (FDI), and is a regular columnist for Andrew Breitbart’s Big Government and Big Journalism, the American Thinker, and other publications. Pamela is the author of the book The Post-American Presidency: The Obama Administration’s War on America, with Robert Spencer (foreword by Ambassador John Bolton). Her videoblogs (“vlogs”) on a wide range of current events have won enthusiastic acclaim, as have her exclusive Atlas interviews with internationally renowned authorities on jihad, terrorism, and related issues, including John Bolton, Geert Wilders, Bat Ye’or, Ann Coulter, Mark Steyn, New York Mayor Michael Bloomberg and Jerusalem Mayor Uri Lupolianski, Steve Emerson, Christopher Hitchens, Natan Sharansky, and many others. (Videos of many of these interviews are available at AtlasShrugs.com.) She routinely confers with leading scholars on the Middle East, Islam, Eurabia, China, and Russia. Atlas has broken numerous important stories  notably the questionable and illegal foreign sources of some of the financing of the Obama campaign , the anti-Semitic posts on Obama’s website, Obama’s political organizing in public school classrooms, ACORN’s destruction of Republican voter registrations, and many more. Her articles and op-eds have been published in The Washington Times, Big Government, Big Journalism, Human Events, The American Thinker, Newsmax, Pajamas Media, Israel National News, World Net Daily, FrontPage magazine, New Media Journal, and Canada Free Press, among other publications. Atlas began her publishing career at The New York Daily News and subsequently took over operation of The New York Observer as Associate Publisher. After leaving The Observer, she remained involved in various projects, including American Associates and Ben Gurion University. She has also served as Senior Vice-President for Strategic Planning and Performance Evaluation at The Brandeis School. After September 11, 2001, Pamela began to immerse herself in gaining a full understanding of geopolitics, Islam, jihad, terror, foreign affairs and the imminent threats to our freedoms that the mainstream media and the government wouldn’t cover or discuss. After engaging in various forms of activism in the immediate aftermath of 9/11, she became convinced of the crying need for an alternative to the mainstream media, and began AtlasShrugs.com in February 2005. The site won the 2005 “Best New Blog” Jewish & Israeli Blog Award, was a finalist in the 2005 Weblog Awards, and finished in third place for Best Conservative Blog in the 2008 Weblog Awards. Atlas also won the “Grande Conservative Blogress Diva” Award for 2008 and for 2009. Pamela has made appearances on NBC news, ABC News, CNN, AP, Reuters, Hannity, Red Eye, and the Mike Huckabee Show on the Fox News channel. She made an acclaimed appearance on the Joy Behar Show in February 2010, engaging in an impromptu debate with Ron Reagan about Sarah Palin and the Tea Party Movement. She is a frequent guest on talk radio and has regular segments on two radio shows, The Jaz McKay Show and Jamie Allman In the Morning. She was a featured speaker at the David Horowitz Freedom Center’s Restoration Weekend in 2009 and was the featured speaker for the Collin County, Texas, Conservative Republicans in November 2009. She speaks regularly to organizations, synagogues, and groups across this nation. Atlas writes daily at AtlasShrugs.com, where she is fighting the great fight, changing the world one word at a time.